The Block, Australia’s favourite reality show has joined forces with Imagination Gaming and Winning Moves International Limited, an authorised licensee of Hasbro to offer the biggest prize ever seen in Australian TV history. A new, limited edition of the world’s favourite family game, MONOPOLY – The Block Special Edition, will unlock the chance for some lucky person to win one of the newly renovated, multi-million-dollar Block Gatwick apartments. 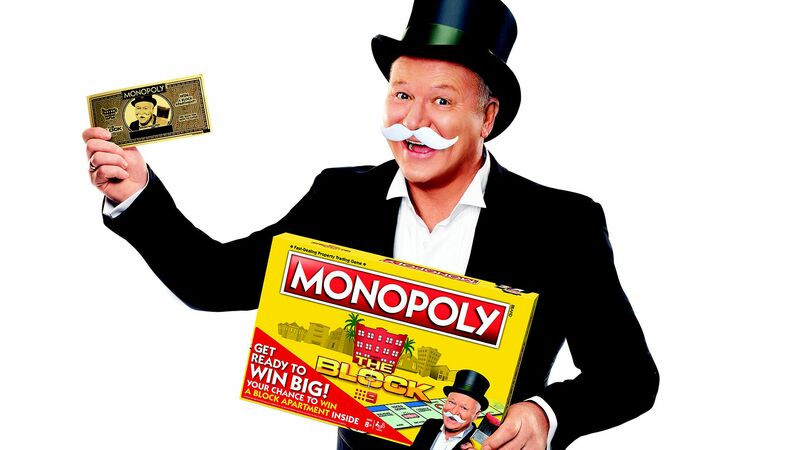 MONOPOLY has a long history of bringing families together to enjoy hours of fun, and now Australian families can bring their love of The Block to this very special edition, with The Block host and fan favorite Scott Cam inspired by Mr. MONOPOLY, the character known all over the world. The competition is open until December 29, 2018, making MONOPOLY – The Block Special Edition not only a must-have for Blockaholics across the country, but also the ultimate Christmas present. Block fans will love MONOPOLY – The Block Special Edition, with its customised Block-themed tokens, Community and Chance cards. All 14 seasons of The Block properties are featured on the board game – with Dux House in Albert Park taking the sought-after famous Mayfair tile. Just make sure the foreman doesn’t fine you for building defects or let noise complaints set you back. With a roll of the dice and a trip to pass GO, owning a slice of The Block real estate has never been easier. “Bringing The Block and Monopoly together to create the biggest prize in Australian TV history is a first that we think our audience will love. This is the kind of brand integration that takes The Block beyond the screen and provides new ways for fans to be involved with the show. We’re thankful to our partners at Imagination Gaming for bringing this to life” said Alison Hurbert-Burns, Nine’s Director of Commercial Development. MONOPOLY – The Block Special Edition is now available while stocks last from Big W, GiftBox, Games World, Mr Toys, Toyworld, Thingz Gifts and other leading retailers.